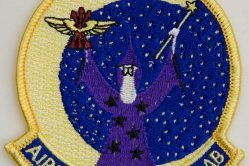 The C-5 loadmaster patch depicts a globe and the words, “C-5 Loadmaster.” At the bottom is a winged star, one of Lockheed’s logos, manufacturer of the C-5 Galaxy aircraft. 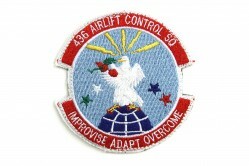 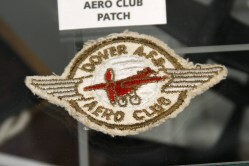 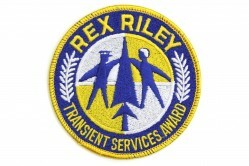 It was worn by U.S. Air Force loadmasters on flying coveralls. Loadmasters are aircrew members responsible for cargo and passenger placement on an aircraft. 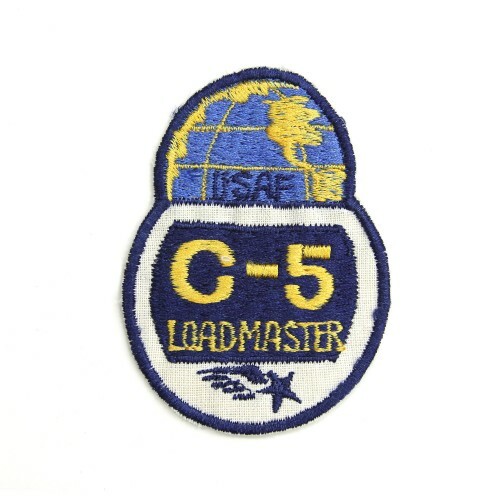 The loadmaster career field was not established in the U.S. Air Force until 1953, however the duties that were eventually assumed by loadmasters began early in WWII. 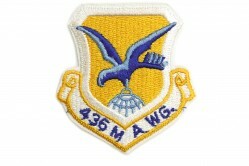 Douglas Aircraft Company first used the term “loadmaster” in flight manuals for their C-124 Globemaster II aircraft in the late 1940s. 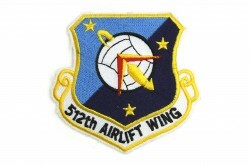 Airman First Class John Levitow became the only loadmaster to receive the Medal of Honor because of his heroic actions in 1968 when his AC-47 gunship was struck by mortar fire during the Vietnam War.